Once you've read our FTP Getting Started Guide, you know that your cPanel username and password can be used as an FTP account. But, did you know that if you've created an Addon domain that you have a separate FTP account for that domain that you can use? 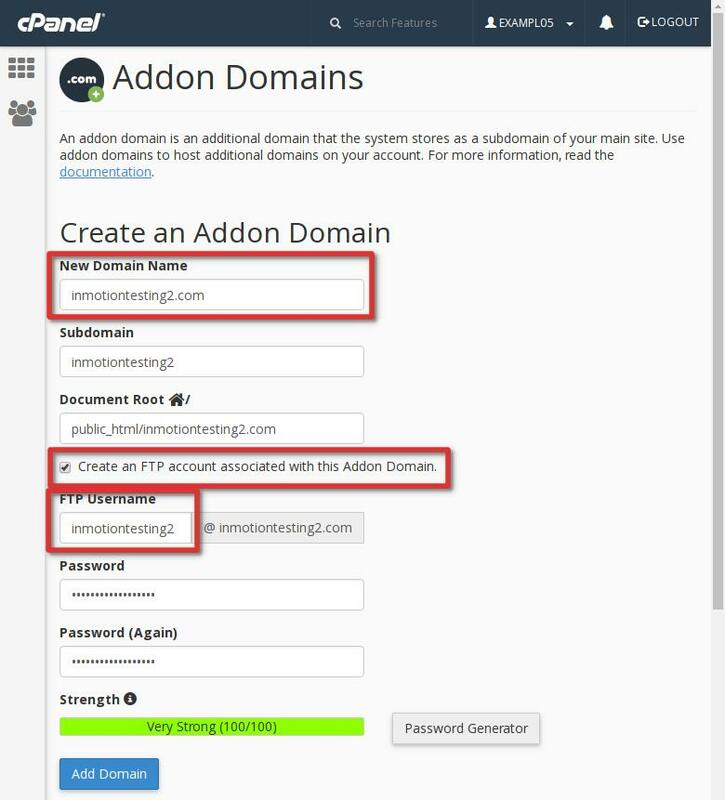 When you're publishing to an Addon domain, you can choose to use either the cPanel username or the Addon domain FTP account. In fact, sometimes it's easier to use the Addon domain's FTP account for publishing. In this article we'll go over directory structure and why using that Addon domain FTP account can be the best way to publish to an Addon domain. When you created the addon domain within cPanel, it automatically created the FTP account for you. When your cPanel account is setup, a main domain was assigned to it. That main domain's document root (by default) is the public_html folder. 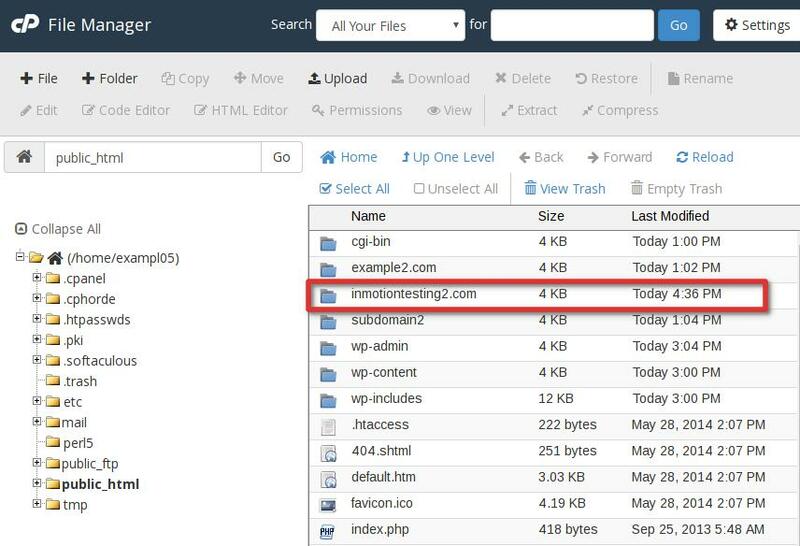 When you create an Addon domain in cPanel, a new folder is automatically created along with a new FTP account. By default, the new folder is given the same name as the Addon domain, but you can edit this if you prefer. That new folder is created inside the public_html so the Addon domain document root would be: public_html/addondomain.com. When FTP accounts are created, each account is assigned to a directory or folder. When an account is assigned to a directory, it can reach that directory (and any subdirectories) but cannot go above the directory it is assigned to. When cPanel automatically creates the FTP account for your Addon domain, it is assigned to that Addon domain's document root directory. This is helpful since it prevents publishing files to another Addon domain or to your main domain. So, any time you are publishing to an Addon domain with either an FTP program or a web publishing tool such as DreamWeaver or iWeb it can be helpful to use that Addon domain's FTP account. This can prevent overwriting another site's file without having to input what can be a lengthy folder structure like public_html/addondomain.com in your software's publishing settings.